If you want to be grittier, find a gritty culture and join it. If you can not find it, then create it. According to Angela, at its core a culture is defined by the shared norms and values of a group of people. A distinct culture exists anytime a group of people are in consensus about how we do things around here and why. When you adopt a culture you make a categorical allegiance to that “in a group”. As a business owner, it is important to think long and hard about the type of culture that you want to foster within your organization. As a parent it is equally important to think long and hard about the type of culture you want in your home. If you want to be grittier, find a gritty culture and join it. If you can not find it, then create it. If you are a leader in your organization, and you want your organization to be grittier, create a gritty culture. Grit as part of a culture is powerful. Culture has the power to shape your identity. Over time and under the right circumstance, the norms and values of the group to which we belong become our own. We internalize them. We carry them with us. 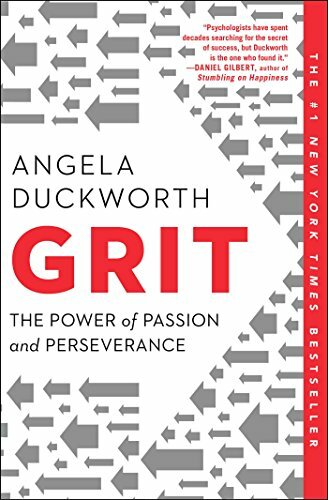 Identity influences every aspect of our character, but it has special relevance to grit. Often our passion and perseverance comes from the person we know ourselves to be. If you create a vision for yourself and stick to it, you can make amazing things happen in your life. Once you have done the work to create a clear vision, it is the discipline and effort to maintain that vision that can make it all come true. Be intentional about the culture you want to see in your business, most importantly lead by example.